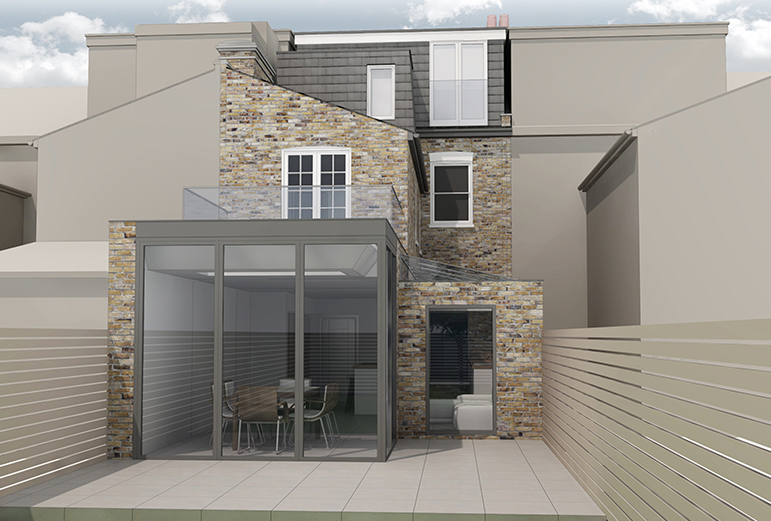 Having recently purchased this Victorian terrace property in South Wimbledon, this client is desperate to extend and renovate her new mid-terrace home. Her brief was to improve the living spaces on the ground floor and provide open plan accommodation, as well as additional bedroom space. To achieve this, we have extended at ground floor level both to the side of the existing return and into the rear garden and removed the existing internal partitions to open up the interior space to create a very generous living/kitchen/dining area flooded with daylight from roof lights and full height glazed doors. 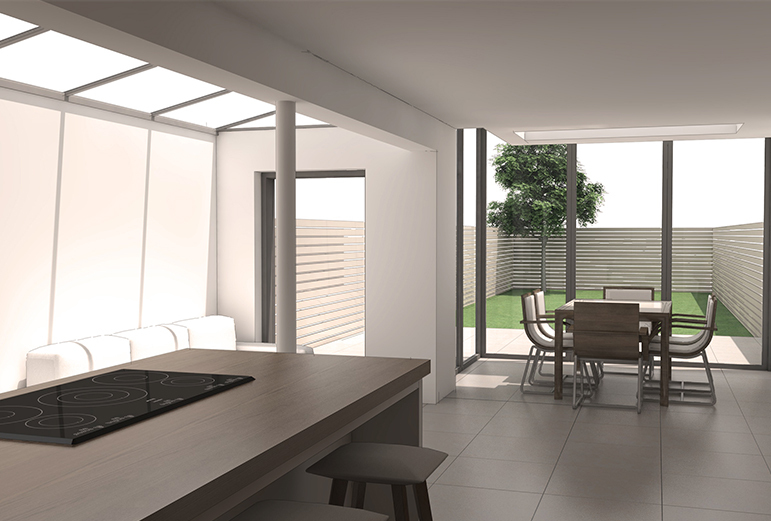 The dining space is enclosed on two sides by full height fold aside doors which fold back in both directions with a large roof light above and projects into the garden. This creates a delightful space that gives the impression of sitting within the garden whether the doors are open or closed. 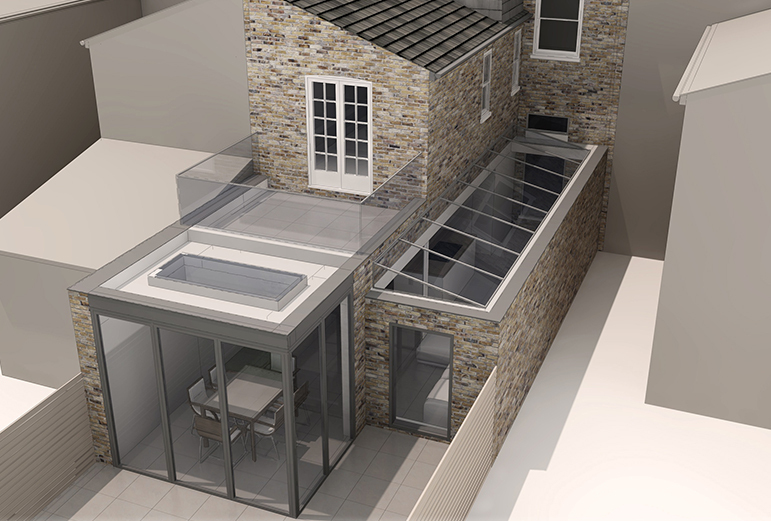 At roof space level we have converted the existing roof space to provide a generous bedroom and a new bathroom. 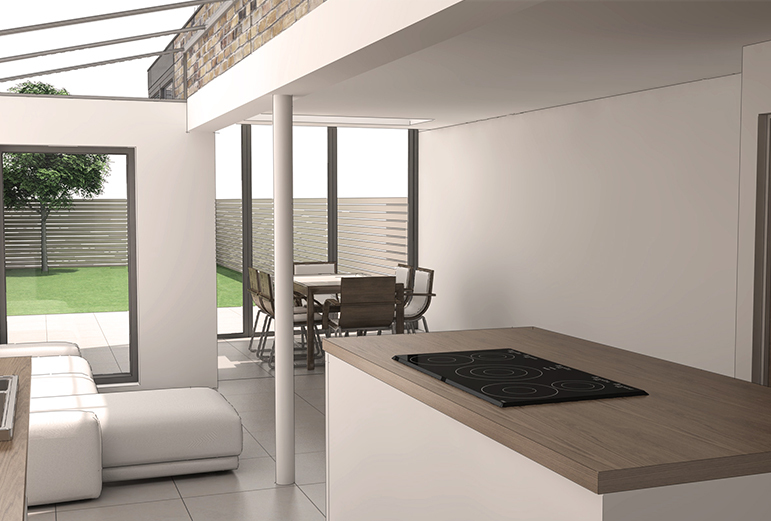 The proposals will transform a typical, unloved London Victorian terraced house into a beautiful contemporary home fit for modern family living.